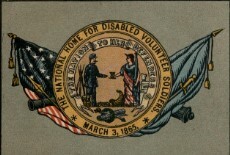 "Serving Veterans for more than 80 years"
Salt Lake City. Date of photo is early 1930’s. 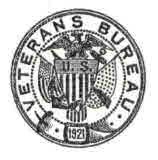 The first Veterans Administration Hospital admitted its first patient July 5, 1932 at 12th Avenue and E Street. The cost of the building and equipment was about $500,000. There was space for 104 general medical and surgical beds as well as space for Regional Office functions. With the release of men from the Armed Forces at the end of World War II, this facility, like all facilities in the Veterans Administration, was suddenly confronted with a marked increase in workload. Desks were set up in corridors. A number of substandard emergency beds were added reaching a total of 204 beds in 1946. Later, this number was reduced to 194 beds. In late 1945 and early 1946 plans were formulated for the hospital to become affiliated with the University of Utah, College of Medicine. This became an effective relationship during the spring and summer of 1946. Because of space needs for beds and medical activities, plans were made to remove the Regional Office functions from this facility to a General Services Administration building on Redwood Road. This move was accomplished gradually during the spring and summer months of 1946. During the next few years, the relationship with the Medical school became a close one. In addition to providing a panel of well-qualified consultants and attending in the various medical specialties, residency training programs were established in various medical and surgical specialties. An internship program was instituted and clinical clerkships were set up first on the Medical Service and at a later date on the Surgical Service. While all of this was happening the President of the United State was approving a resolution authorizing the construction of a 500 bed neuropsychiatric hospital in or near Salt Lake City. A resolution adopted by the Federal Board of Hospitalization dated September 10, 1946 and approved by the President on September 26, 1946. 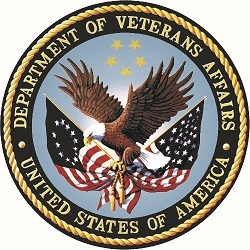 It authorized the Veterans Administration to acquire, by transfer from the War Department, a tract of land of approximately 260 acres of the Fort Douglas Military Reservation. This reservation, first known as Camp Douglas, dates back to 1867. In a letter dated January 11, 1948, the Secretary of the Army advised of the transfer of two parcels of land to the Veterans Administration. in Salt Lake City. Date of photo is early 1950’s. Construction was started in March 1950, and completed in June 1952. Dr. Albert H. Fechner was appointed as the manager on April 10, 1952. The first patients were admitted on September 4, 1952, and the hospital was formally dedicated September 14, 1952. The construction cost was slightly over $8,000,000. Equipment amounted to approximately an additional million dollars. The original bed capacity was 546, which included 154 beds for tuberculosis psychiatric patients. The hospital was planned to care for veterans with psychiatric disorders from the state of Utah, eastern half of Nevada, southern Idaho, southwestern Wyoming and western Colorado. Prior to the construction of the Fort Douglas hospital, Utah veterans had to go to hospitals in Sheridan, Wyoming and Fort Lyon, Colorado. For the first time the veterans in this area had complete hospital facilities without having to go to distant hospitals for treatment. 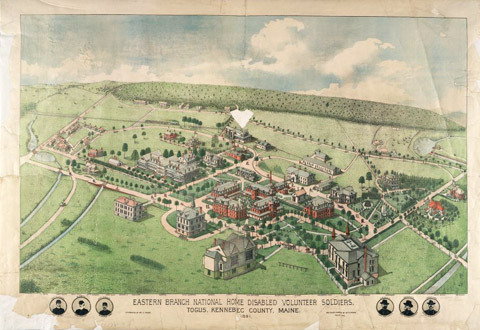 The 12th avenue and E Street hospital provided facilities for acute general medical and surgical cases and the Fort Douglas hospital provided facilities for psychiatric, neurological, and tuberculosis patients. On September 1, 1955, Central Office affected an administrative consolidation of the 12th Avenue and E Street hospital and the new Fort Douglas hospital. The Fort Douglas hospital has been affiliated with the University Of Utah College Of Medicine since its activation. In the fall of 1953, the hospital established an affiliation with the Graduate School of Social Work of the University of Utah for training of students enrolled in that school. In the fall of 1954, the hospital affiliated with the University’s Department of Psychology for the training of university students enrolled in Psychology. In the fall of 1961, the hospital established an affiliation with the University Of Utah College Of Nursing, first, in psychiatry and later in general medicine and surgery. All of the training programs affiliated with the University of Utah have been extremely active ones. 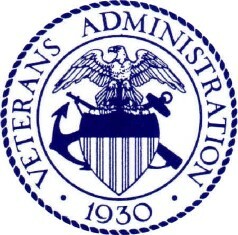 A very high percent of the VA staff has faculty appointments at the University. On September 1, 1955 the 12th Avenue and E Street hospital and the Fort Douglas hospital were administratively consolidated and placed under single management. Since the 12th Avenue hospital was not large enough to handle all of the general medical and surgical needs in this area, more and more medical and surgical functions were being carried out at the Fort Douglas hospital. The point was reached where one third or more of the medical and surgical patients were being cared for at the Fort Douglas unit. 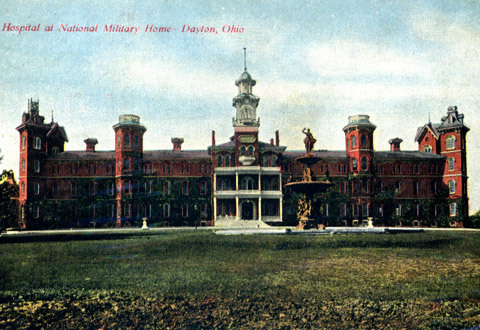 In the spring of 1961, Central Office made the decision to consolidate all hospital functions at the Fort Douglas location and to declare the 12th Avenue and E Street facility excess to Veterans Administration needs. However, before this could be accomplished, it was necessary for the operating room suite at the Fort Douglas hospital to be enlarged and modernized. This was accomplished and on February 15, 1962, all of the patients at 12th Avenue were transferred to Fort Douglas. On that date the 12th Avenue hospital ceased to function as a medical institution for the care and treatment of patients. In the nearly three decades of the service to veterans in this area, the 12th Avenue hospital admitted 56,336 patients. in Salt Lake City. Date of photo is early 1960’s. Nuclear Veterans started here. A veteran with Leukemia called KUTV channel 2 and told them that he was in the army and one day they went out in to the desert and watched an open air nuclear explosion from not too far away. Then they were marched through ground zero. After telling his story the cause of nuclear veterans became a national issue. This was originally a TB and psychiatric facility which explains the tunnels. They were used to contain the patients. Also there was a golf course, swimming pool, bowling alley, barber shop and theatre for 1st run Hollywood movies and USO shows. Stephen King’s “The Stand” used our hospital for medical shots in the first parts of the mini series. One of our lab investigators was asked to check out a set up for a scene they were about to shoot in the lab. He looked and corrected the set up so that it would be chemically correct. After the scene was shot a man from the production came up to him and thanked him for making sure the portrayal was accurate. That man was Stephen King himself. One of the “Halloween” movies used our tunnels. Our Olympic Moment: The Secret Service used the George E. Wahlen VA Medical Center during the 2002 Olympic Games. It was also the staging area for bomb sniffing dogs and some our state National Guard Soldiers. We also had VA emergency response teams standing by just in case along with a full decontamination station set up in our Emergency Department.